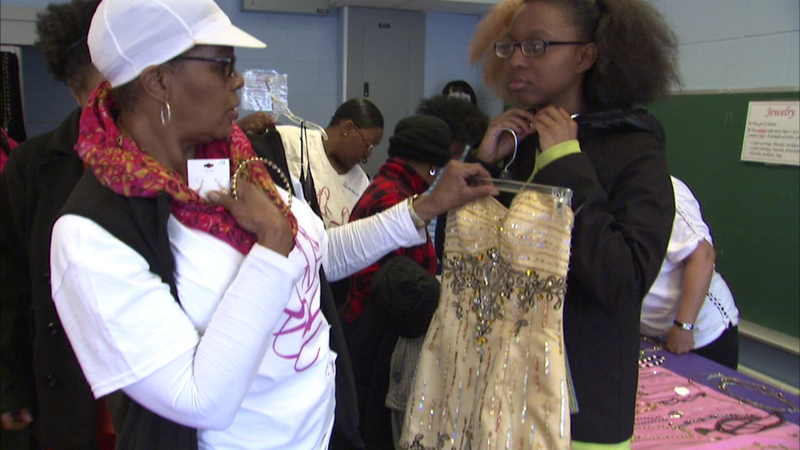 CHICAGO (WLS) -- There were long lines, free prom dresses and lots of happy girls at a South Side school Saturday. Some lined up outside Price Elementary in the early morning hours for the giveaway. Without this opportunity, some girls say they don't know if they'd be able to get a prom dress. "Actually it was the first dress I picked, but I didn't know I was going to end up getting it," said Dorothy Johnson. "When I tried it on, perfect. I had other dress I still wanted to try on they were like no get that one, get that one." "I love to be a part of what their experience is for prom and I look forward to this every year and I get just as excited as the prom kids," said volunteer Carbeth Wilson. Organizers expected to give dresses to 700 girls. The dresses were provided by "Prom Goes Green," a partnership between the "Glass Slipper Project" and clothing recycler UsAgain.